Chinese Lunar New Year is a Spring festival, occurring around January to February each year (which is actually the middle of summer for us!). It always feels like a week long party of dumplings, red lanterns, lion dances, firecrackers and LOTS of noise. So, of course, my kids are fascinated! They love dumplings! They love learning about the symbols and traditions. They can retell (most of) the Chinese New Year story, and are super excited to learn the new animal of the year. Is it rude to start an ‘awesome list’ with one of our own activities? Haha! Last year JJ made a cute Hong Bao (red envelope) craft to give out to her friends. 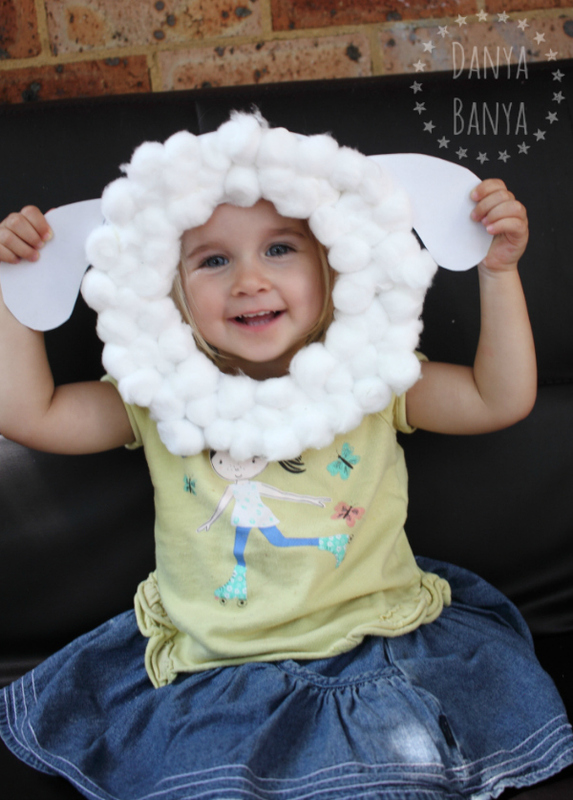 She loved making these so much, that she ended up making about a dozen! 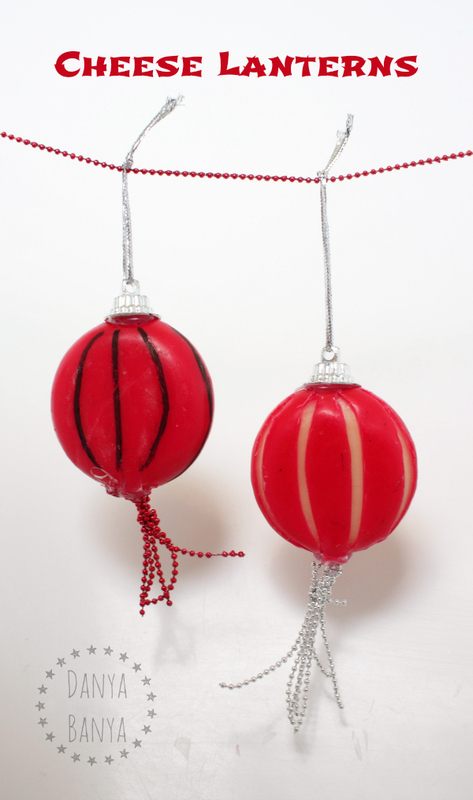 Gift of Curiosity has a great idea to recreate a traditional Chinese instrument called the Bolang Gu, or pellet drum. Or you could make your own Chinese gong like the one on Kid World Citizen! How awesome is it? Messy Little Monster has a really do-able version of the classic Chinese dragon puppet craft. I love that you can make the head and tail out of the one paper plate. Check out this amazing sensory tray using red rice and gold chick peas from Tuff Spot Play. My kids would go bonkers if they came home to this! I love Clare’s Little Tot’s version of Chinese lanterns. 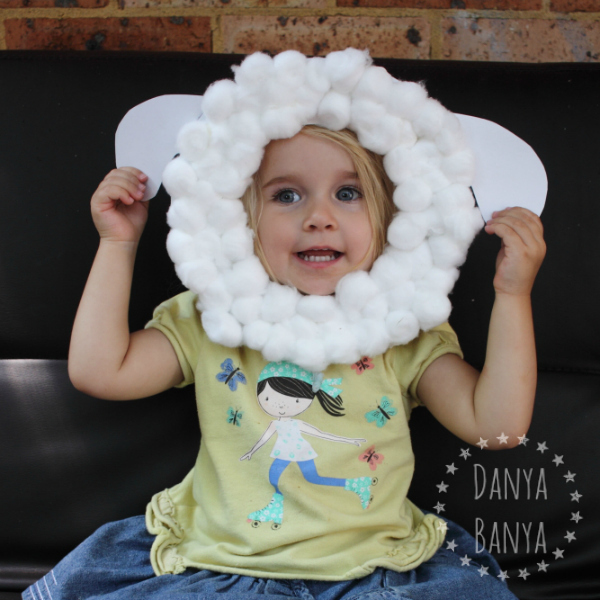 The double colour layers make this kid-made craft really pop! 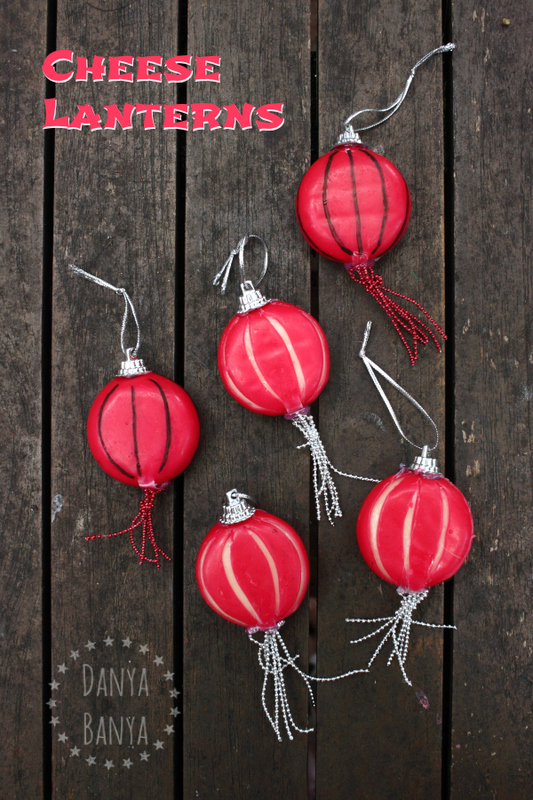 If you want to really up your lantern game however, check out this range of cool DIY Chinese lanterns from Marie’s Pastiche. Or have you ever thought to make a Chinese lantern out of a mini cheese wheel? Ha! We made these one year – they were fun and yum! 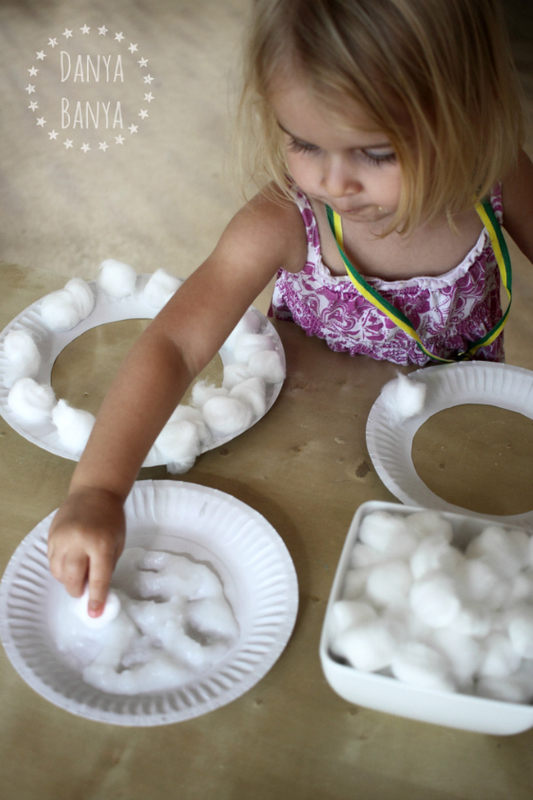 Another ‘healthy’ idea – Make some easy Chinese fortune ‘cookies’ using foil liners, from Laughing Kids Learn. Perhaps not a ‘traditional’ activity, but how cool is this Chinese New Year inspired slime from Little Bins for Little Hands. Don’t you just want to dig your fingers in and squelch! This cork stamped Chinese lantern art idea from Let’s Go Fly A Kite looks effective. I love how they used newspaper print for the background buildings too. These egg carton Chinese dragons from Happiness is Homemade are fabulous! I would add horns to the head too. Kid World Citizen has a great post explaining the symbolism of the Chinese dragon, including all the animals that contribute to it’s anatomy. Very cool! Adventures of Adam has a simple retelling of the Chinese New Year story, using printable puppets. And check out this interactive and printable notebook for kids to use while learning about Chinese Lunar New Year. It features map, culture, traditions, food, and more. 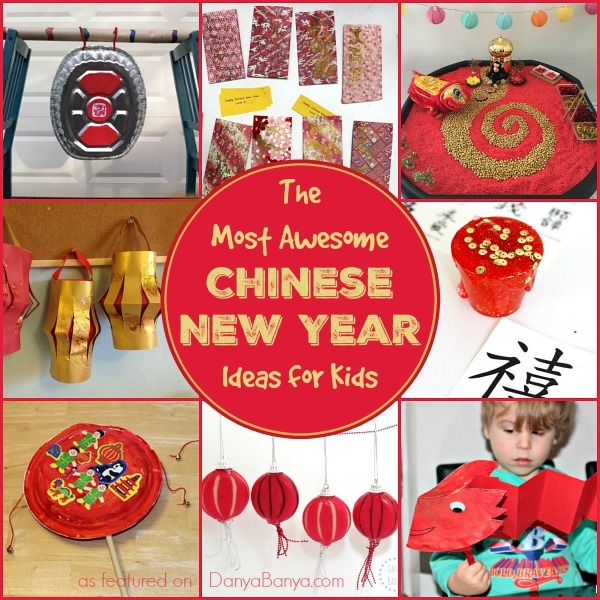 Cute hong bao (red envelope or red packet) craft idea that kids can make for Chinese New Year. My kids are fascinated with Chinese culture. One of the things that intrigues them is the giving of red envelopes, called hong bao, every Chinese New Year. I’m sure many Chinese kids are excited about the money gifts inside, but my kids are more fascinated with the red envelopes themselves. Whilst they are primarily red in colour (symbolizing good luck, and to ward off evil spirits), they are often patterned with intricate designs, sometimes featuring gold Chinese characters on the front. They can be very beautiful. Last year we decided to try making some of our own! We’re lucky enough to have received some 6×6″ square origami paper from Japan, which folds beautifully. (If you don’t have origami paper, you could use other patterned paper, or even gift wrap paper, cut into 6″ squares). Take a piece of square paper and fold it, pattern side out, so that it is almost in half, leaving a 1/2 inch overhanging along one side. Use the back of your thumb to make a nice crease. double fold over to seal the bottom of the envelope. 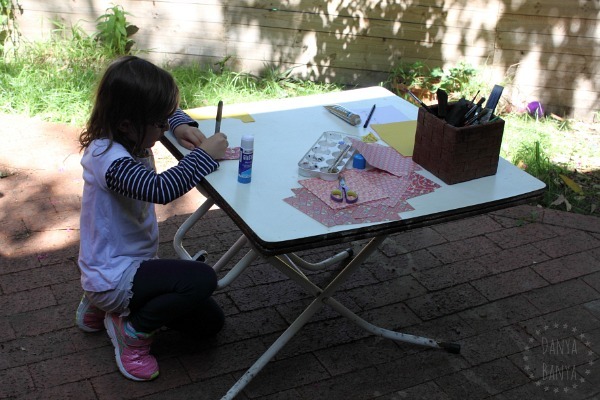 Add Chinese character designs to the front with gold paint or a metallic gold sharpie. 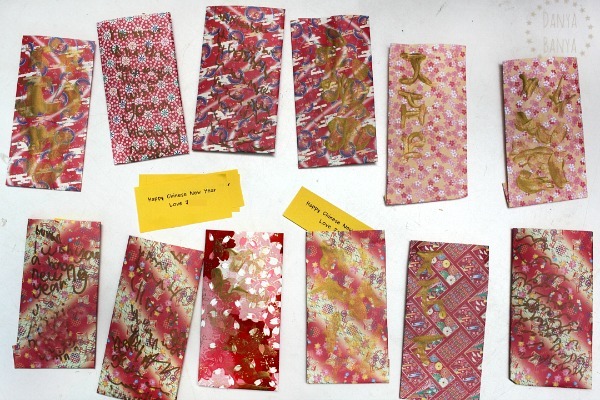 Write little ‘Happy Chinese New Year’ notes to pop inside. Fold the top of the envelope over to close. Give out to your friends! 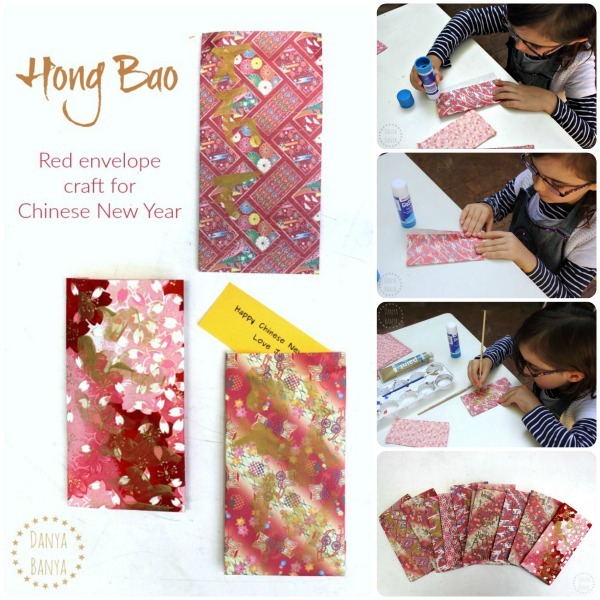 My 5.5 year old daughter JJ absolutely loved this hong bao craft – I think what she liked most was that she could do the entire process by herself. She spent well over an hour outside making one after another, after another! About half way through she switched from gold paint to a metallic gold sharpie to decorate the outside – I guess she found it easier to draw the finer details. Traditionally hong bao (or red envelopes) are given out at Chinese New Year (among other celebrations) by elder people to children, with notes of money inside. Luckily for me, JJ was happy to skip the money and instead added a little Happy Chinese New Year note inside instead. (Can you hear my bank account saying ‘Phew!’). She really enjoyed giving them out to her friends. 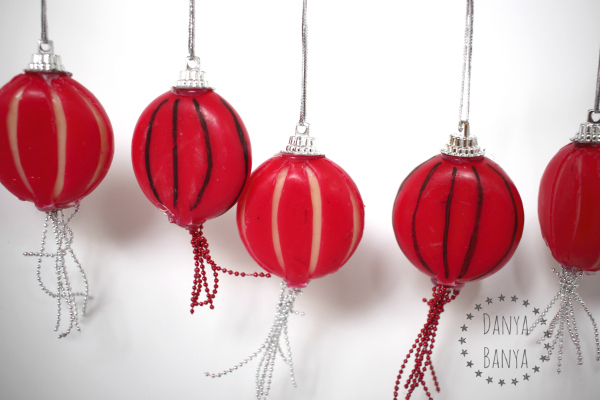 Babybel cheese chinese lanterns, which we made last year. Dragon puppet (with free printable) from Red Ted Art. 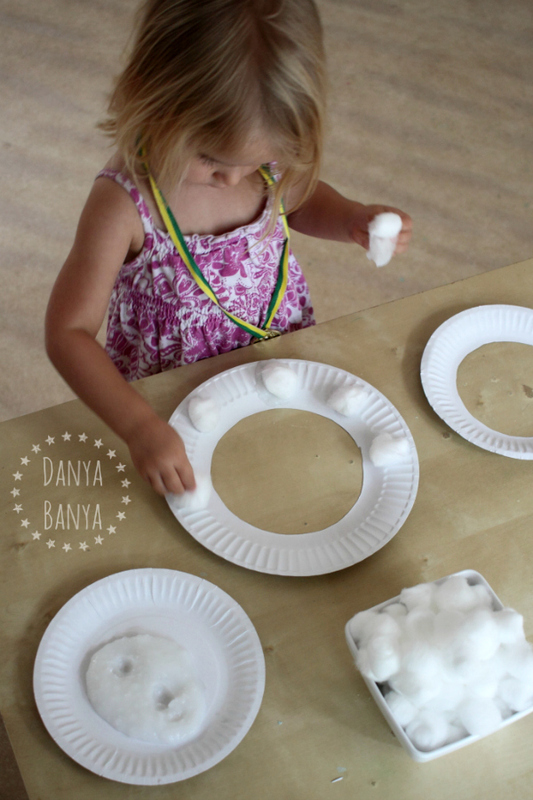 Chinese New Year themed sensory play dough from NurtureStore. Chinese New Year slime from Little Bins for Little Hands. Chinese New Year rice sensory bin from Gift of Curiosity. 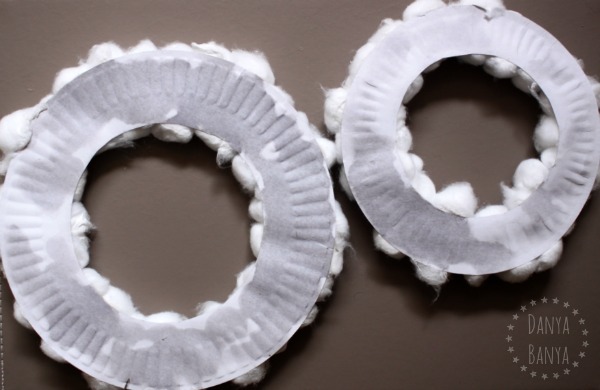 How to make round folding fans from Naturally Educational. 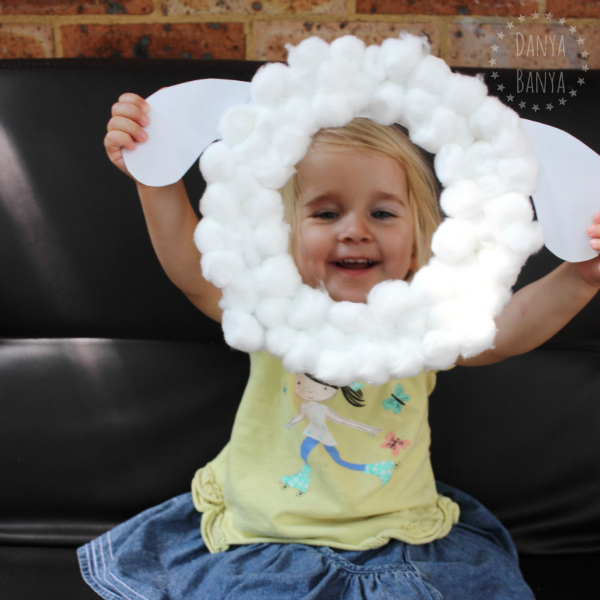 How to make a fun shaker to ward off evil spirits, from In The Playroom. Chinese Zodiac Animals in Lego from Planet Smarty Pants. 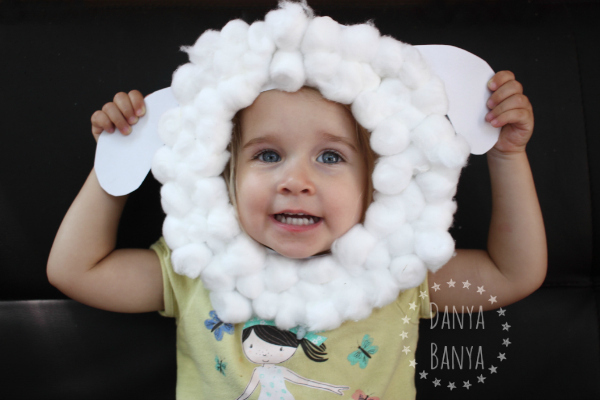 Thumbprint Chinese Zodiac Craft for Kids from Fun Handprint Art. And Gong Xi Fa Cai , or happy Chinese New Year! Cheese Lanterns! 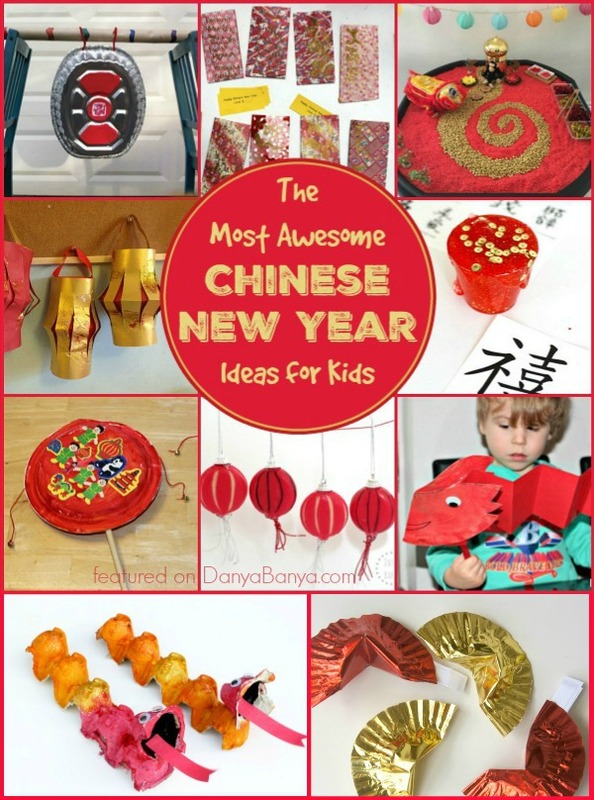 For a fun & tasty twist on traditional Chinese lanterns to celebrate Chinese New Year. So we are super excited that Chinese New Year is coming up in a few weeks time! 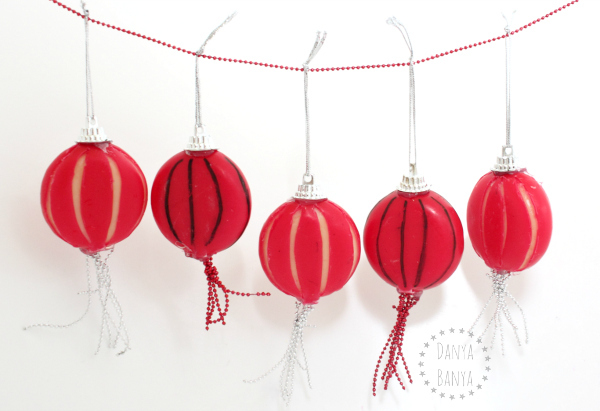 No doubt we’ll try our hand at making paper Chinese lanterns and hong bao (red envelopes) at some point in the next fortnight, but in the meantime I thought it would be fun to make a Chinese lantern inspired cheese snack for the kids. Babybel baby cheeses, which are semi-soft cheese rounds individually covered in red wax. The extra decorations do mean they should be eaten soon afterwards, and are a bit trickier to open – but the kids thought they were cool. (They were gobbled up just as quickly as the Cheese Monsters we made last year). 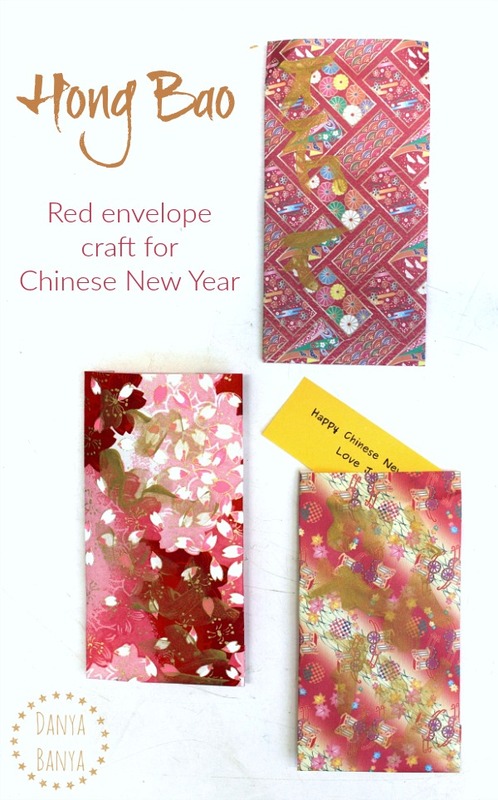 Hong Bao (red envelope) craft from us! Chinese Lantern Sun Catchers from The Gingerbread House. Chinese New Year Fortune God Mask from Witty Hoots. 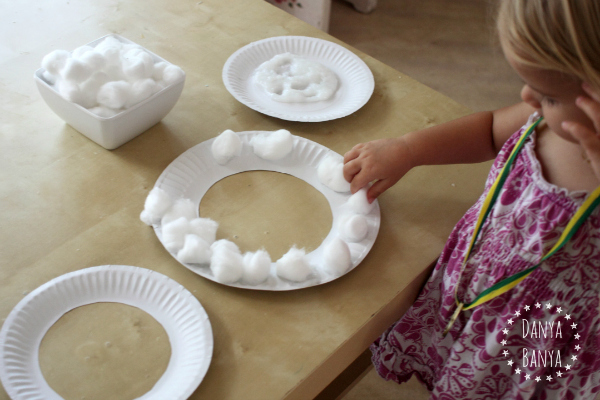 TP Roll Chinese Lanterns from In the Playroom. Chinese Dragon Puppets from Messy Little Monster. Paper Plate Chinese Dragon from Kiddy Charts. Dragon Painting for Preschoolers from Learning and Exploring Through Play. Chinese Dragon Dance from Study at Home Mamma. ** This post contains affiliate links. An affiliate link means I may earn a commission or referral fee if you make a purchase through my link, without any extra cost to you. It helps to keep this little blog afloat. Thanks for your support.